This Sunday is the Oscars. It is watched by hundreds of millions around the world. While I do not know how many will be watching the Oscars in Tanzania it made me curious about movies made in Tanzania or about Tanzania. I came up with 2. But probably the most famous movie dealing with Tanzania is “Hatari” Starring none other than the Duke himself, John Wayne. A group of men trap wild animals in Africa and sell them to zoos. Will the arrival of a female wildlife photographer change their ways? You now have the plot of Hatari. 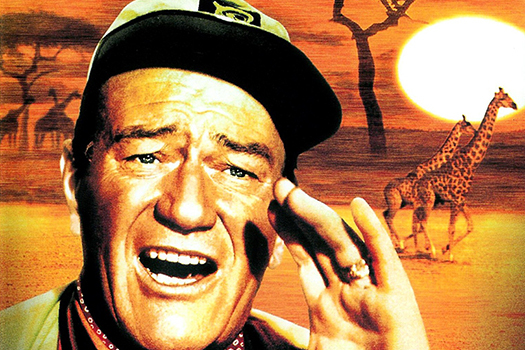 But what is really great about the movie is the photography in Tanzania. 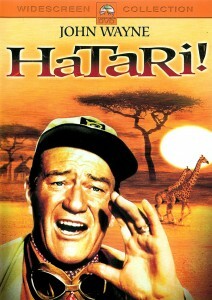 And did you know there is actually a Hatari Lodge located close to the setting of the movie? So after you finish seeing all of the movies nominated this year and before the next crop of Oscar contenders come up check out some movies with a Tanzanian theme. Who knows it just might inspire you!